In the most recent update to Destiny 2 Bungie pushed a number of changes were implemented, however a small leak regarding the Revelry was also seen. While most Guardians get logged out when an update goes live, a few always try to stay on, or are simply unaware that the game’s servers are undergoing maintenance. During the server downtime some Guardians saw odd things going on with their inventory. One Guardian was randomly awarded Thorn, while another was given a Thorn Ornament for no reason. Finally, another Guardian received something called a Jubilant Engram. It’s thought that Jubilant Engrams will be the new Engram that’s going to be available from Eververse during the Revelry. While no firm details have been revealed by Bungie just yet, it’s likely that you’ll also be able to earn Jubilant Engrams from the event’s activity, which should be something similar to The Haunted Forest. One Guardian was able to inspect their Jubilant Engram and get a look at some of the rewards they could earn from them, see the video below. So far it looks as though there aren’t too many rewards to earn, but this could simply be limited to ones that are available to purchase as part of a package from Eververse. The designs of all of the items available from Jubilant Engrams have a spring feel to them. 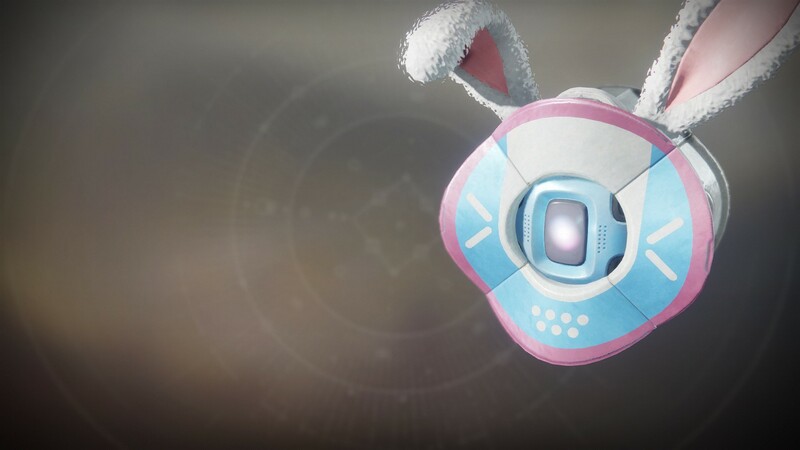 The Ladybug Ghost Shell is probably going to be the most sought-after item from the event, but whether something more desirable is lurking and waiting to be discovered isn’t fully known. There is a slight chance that these items are reserved for Season of Opulance, Season 7 in Destiny 2. The chance is small, since it seems unlikely that Bungie would add items for next season to the game during an earlier season. Let us know what you think of these leaks in the comments.